The summer solstice is here. Today is the longest day of the year, with more hours of daylight than any other in the UK. Ofter termed midsummer, in fact, the summer is only just beginning. And summer food to me means salad. Not a warm salad that we’ve enjoyed over winter, but a dish that is crispy, fresh, tasty, light but also filling. 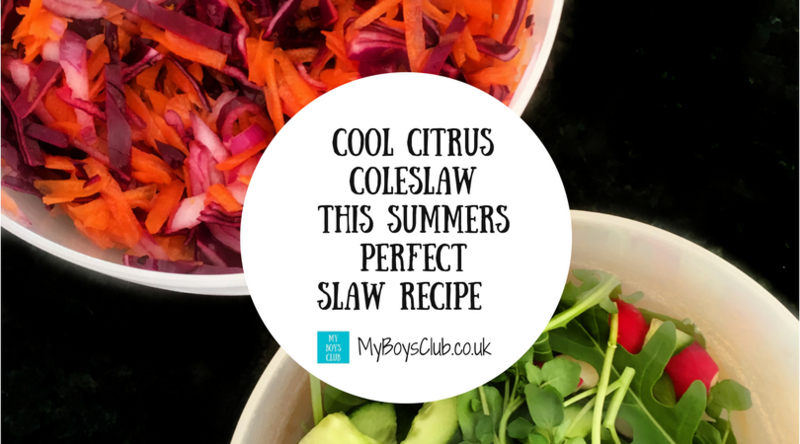 So here is a delicious recipe for a cool citrus coleslaw. Salad is a cold dish of various mixtures of raw or cooked vegetables, usually seasoned with oil, vinegar, or other dressing. 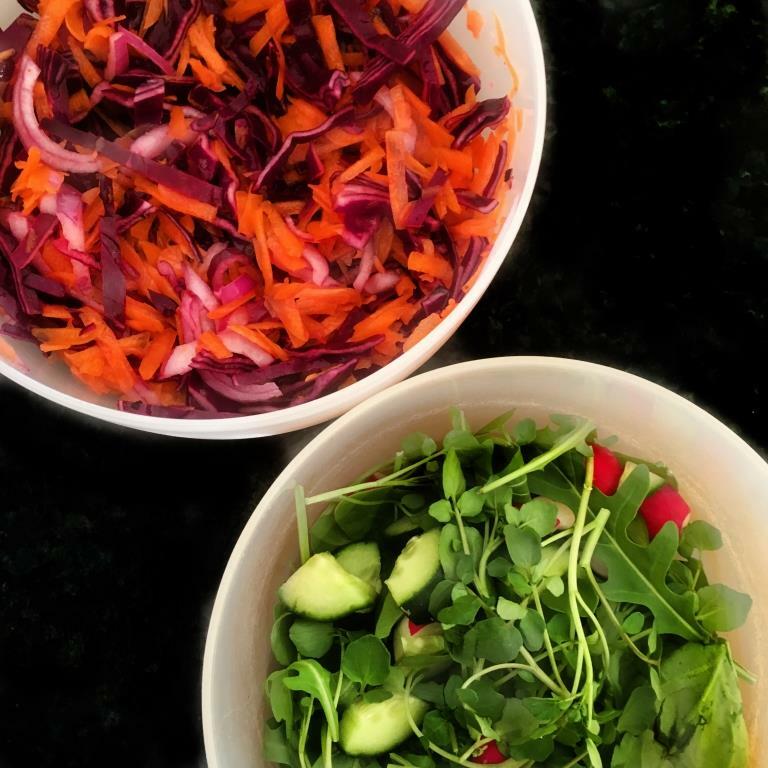 On of my favourite salads is coleslaw or ‘slaw’ as it now tends to be described on menus. The perfect accompaniment to so many meals including burgers, pizza, hot dogs, sandwiches and BBQs. Coleslaw is a salad consisting primarily of finely shredded raw cabbage and dressed with either a mayonnaise or a vinaigrette style dressing. When I was a child coleslaw could often be too dry or too gloopy. Too much mayonnaise totally covering the vegetables or not enough and it just being dry, raw veg. However ‘slaw’ has had a renaissance in our house with the discovery of the citrus dressing for this recipe for Cool Citrus Coleslaw. 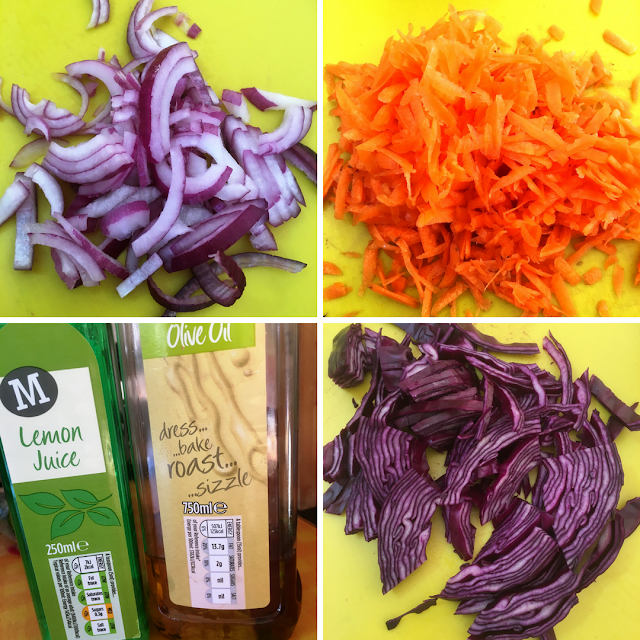 Finely slice the onion, shred the cabbage, grate the carrot and mix these ingredients together. Add the chopped garlic, chilli flakes to the oil and lemon juice together and shake before pouring over the vegetables, and mix gently but well. Place in fridge for half an hour to let the flavours combine before serving. White cabbages rather than green are usually favoured in coleslaw but I prefer, red. It brings a vibrancy as well as crunch to the dish. If red cabbage is too sweet for you though try half and half with white cabbage. The same can be said for the onion too but if you really don’t like raw onion try spring onion as an alternative. I slice, shred and grate by hand. A Food Mixer can be used but I like the course texture of the coleslaw that making by hand creates. Although a good creamy coleslaw can be delicious, once I'd discovered the citrus version I’ve never gone back. 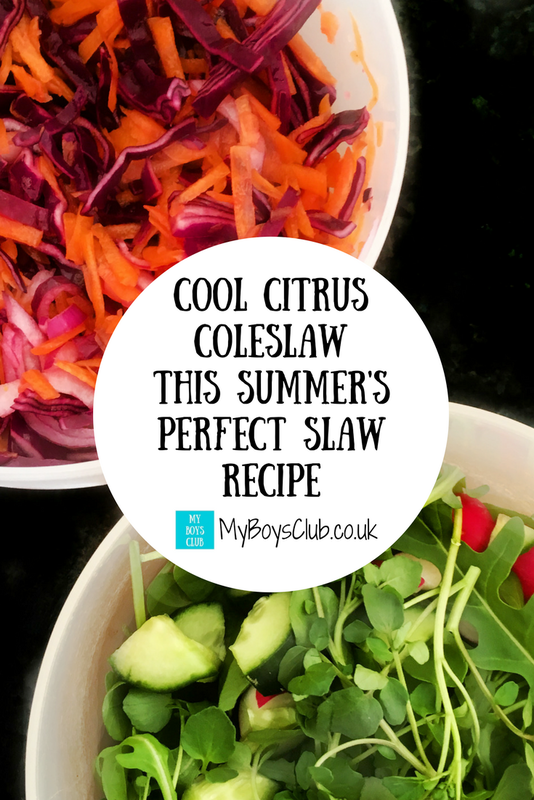 It is tangy, tasty and a good coleslaw for a hot day – let’s hope we have many more this summer. A great accompaniment to a traditional green salad or delicious served with any main dish be it vegan, vegetarian, pescetarian or meat. 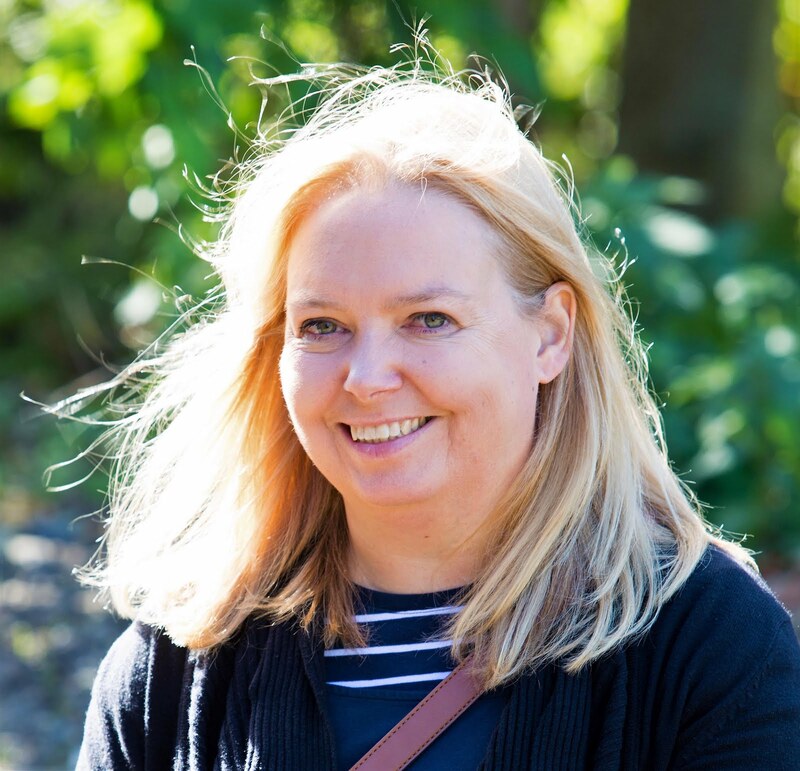 We have already enjoyed this summer’s slaw with jackfruit burgers, carrot and chickpea burgers, aubergine katsu curry, with mushroom quesadillas and as part of a family pizza night. Add some grated cheese (vegan or non-vegan) and it’s a ready-made cheese savoury sandwich filling too. Summer doesn't end until Friday 22 September 2017, so plenty of time to enjoy it yet! How do you eat your coleslaw? We have lots more recipes on the blog. Like them? Why not Pin them on Pinterest? I'm not a fan of coleslaw, I don't like mayo or salad cream but this has definitely given me some ideas on how to make something similar!! My partner LOVES coleslaw so I'll pass these recipes on to him, I'm sure they will be appearing at dinner soon! While this does look lovely. I'll struggle to get my family to eat it.